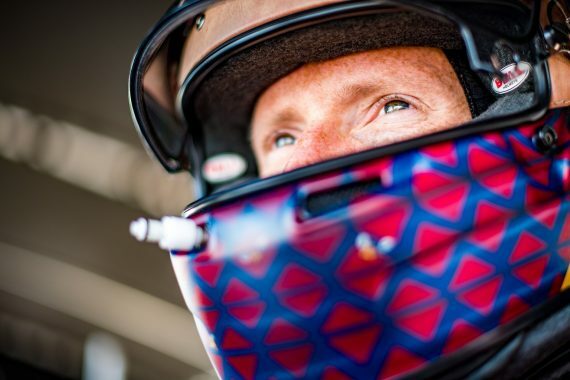 Mike Conway and the #7 TOYOTA GAZOO Racing team will be looking for successive wins in the World Endurance Championship, as the ‘Superseason’ reaches its final race of the 2018 calendar year, as the WEC paddock arrives in Shanghai. This weekend will see Conway compete in the 6 Hours of Shanghai at the 5.451km Shanghai International Circuit, marking the fifth round of the eight-legged World Endurance Championship Superseason. Inspired by an epic victory last time out in the Championship at the 6 Hours of Fuji, Mike will once again be lining up alongside teammates Kamui Kobayashi and José Maria López in the #7 TS050 HYBRID, who will look to continue their rejuvenated title challenge in Shanghai. TOYOTA GAZOO Racing will travel to Shanghai in a positive and authoritative mood following their dominating start to this season’s championship, after yet another one-two victory in the 6 Hours of Fuji on home ground in Japan last month, establishing a 14-point lead in the teams’ World Endurance Championship, over nearest rivals Rebellion Racing. Last season’s championship, saw the Thunderhead-sponsored driver finish in 4th Position at Shanghai International Circuit, narrowly missing out on a podium-finish, something which Conway will be certainly looking to achieve in the upcoming race weekend. After a magnificent victory last time out for Conway and the #7 Team, the Driver’s Championship is now hotting up between the two TOYOTA GAZOO Racing crews with just a slender margin of 13 points between the #8 and the #7 teams, and with the Championship now entering the second half of the Superseason, Conway knows that every point will be vital come the end of the season standings. This entry was posted	on Friday, November 16th, 2018 at 8:00 am	and is filed under Featured, Motor Racing. You can follow any responses to this entry through the RSS 2.0 feed. Both comments and pings are currently closed.